Welcome on the webpages of dental office of Dr. Zdenek Kotek which offers complete dental services. We focus mainly on implantology and our more than 15 years of experiences can be seen in our results. I come from Nivnice near Uhersky Brod where I graduated at a local secondary school. I finished studies at the Faculty of Medicine and Dentistry in Olomouc – Department of Dentistry. I was given my first attestation after three years. I focused on dentoalveolar surgery and I have become highly interested in the field with the beginning of the implantology era. Click here to get more info about me. 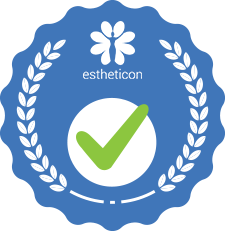 Dr. Zdenek Kotek is recognized as Transparent Doctor on Estheticon. That means that we accept all patient feedback on Estheticon no matter if it is positive or negative. We stand for the results of our work!